Iceland has one of the highest per capita car ownership levels in the world but, still, commuter bicycle sales are soaring. Iceland’s economy is powered by fish (export of cod, mainly) but, by tradition, most of its bike shops are named after birds. Iceland’s cosmopolitan capital, Reykjavik, has ten bike shops, including Falkinn, which is Icelandic for falcon and Kría, Icelandic for arctic tern. The Icelandic capital’s newest bike shop is Reiðhjólaverslunin Berlin, which caters to the growing ‘cycle chic’ customer base (it’s a stockist of Bobbin bicycles). Reykjavik’s oldest and biggest bike shop is Örninn, Icelandic for eagle. Trading since 1925, Örninn has been Iceland’s main Trek dealer since 1991. With a population of just 320,000 there isn’t enough of a cut for middlemen so Icelandic bike shops tend to be brand distributors, too. 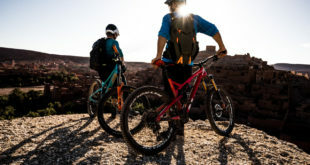 Kría is Iceland’s importer of Specialized bikes and equipment; Örninn distributes Endura clothing and Bontrager accessories as well as Trek bicycles. Örninn is experiencing a surge in demand for bicycles and is soon to move into bigger, plusher premises. 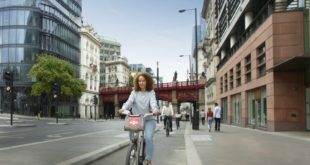 The surge in demand is due to the same set of interconnected factors that is powering the bicycle boom in other European nations: green issues, worries about traffic congestion, the price of fuel, the we-want-what-the-Netherlands-has-got factor, and personal health. With fierce winds during winter storms, Iceland can be a tough place to ride a bike but increasing numbers of Icelanders are taking to two wheels anyway. Another factor that has benefitted Örninn, and Iceland’s other bike shops, is the self-reliance that came as a result of the country’s near financial collapse in 2008. Iceland recovered thanks, in part, to strong domestic sales of goods. Iceland is part of Europe but not a full member of the European Union. It has a currency – the krona – that could be devalued. It has its own central bank and its own monetary policy. Its potentially crippling trade deficit, exposed when its main commercial banks defaulted, has since been turned into a surplus. Even though Reykjavik has one of the highest per capita car ownerships in the world – a staggering 680 cars per 1000 residents – there’s a noticeable increase in the number of its citizens cycling to work and to the shops, said Morten Lange, former president of the Icelandic Cyclists’ Federation, Landssamtök hjólreiðamanna. “Outside the capital there is virtually nothing in the way of bicycling facilities,” said Lange but within Greater Reykjavik there are more than 100 kms of shared-use paths. Reykjavik has built a 7km cyclist-only segregated path, with more to come, thanks to increased Government spending on cyclist infrastructure. And this spending is popular, said Lange: "Opinion polls after the crash have shown people want better public transport and cycle paths rather than big expensive, noisy overpasses for cars. Construction on the first paths financed by national authorities started last year. They pay 50 percent while the municipality pays the other half." Laugavegur and Skólavörðurstígur, downtown Reykjavik’s main shopping streets, are, for part of the year, closed to motor traffic. The area – home to coffee shops, chic stores and, ahem, the Icelandic Phallological Museum – was once clogged with cars but is now a safe haven for pedestrians and cyclists. Skólavörðurstígur is blocked off with a barrier made from a mountain bike covered in bright green paint. Other streets in Reykjavik may get the same treatment. And all of this is music to the ears of Ingólfsson. Örninn’s move to bigger premises will be complete next month. The current store has 380 sq m of shop with 540 sq m for servicing and bike assembly. The new premises will have 1700 sq metres in total with 600 sq m for the shop and 380 sq metre for the service centre. 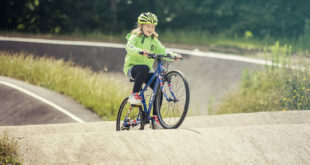 Örninn sells road bikes, MTBs and children’s bikes. One sector that has yet to take off in Iceland, which is perhaps odd given the fact that Icelanders, thanks to geothermal electricity generation, pay very little for their electricity, is the e-bike sector. “We think electric bikes could be a big part of the future in our market but prices will have to come down,” said Ingólfsson.